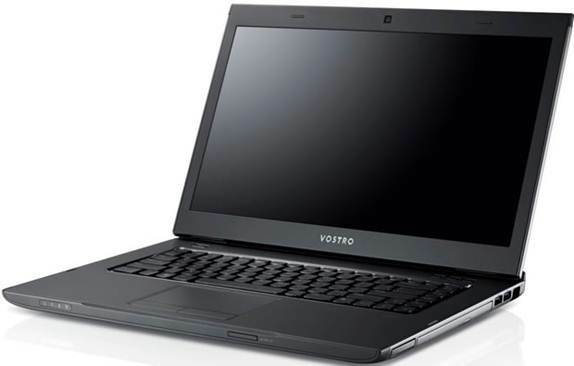 Dell recently refreshed its 2012 ranges to incorporate the latest Intel Core processors and the Dell Vostro 3560 ($989 inc. VAT) is one of the heavy-hitters from its mid-range business line. Dell doesn’t do laptops by halves. You can customise its offerings so that they suit your precise requirements, sometimes to the point that the everyday punter can get muddled about what specs they actually want or need. It can all become quite confusing when you are fiddling with screen resolution, hard drive size, processor options and more. Inevitably, customisation affects the price too. So, while the base price of the Dell Vostro 3560 is a mere $554, you can raise it by hundreds of pounds by choosing between the pre-configured models available online and even then you can fiddle with the specs. The screen resolution is one of the best things about this notebook. The model Dell sent us for review comes in at 1,920 x 1,080. Having this many pixels crammed into the 15.6 inch display area makes using the laptop rather a pleasure. You can get more of a document than usual into the vertical space on a page, for example, and for those who like to glance around at the content they are creating that’s a boon. Web pages render well too of course. Viewing angles are great, and colours look vivid. These factors will help anyone who works with images, for photo or video editing, for example. DVD video looks really good as well. Our test DVD played smoothly and there’s even a plus on sound quality which is both loud and pretty deep. It does lack bass tones, and we weren’t that happy listening to music through the integrated stereo speakers, but it’s liveable with and fine for movie watching. 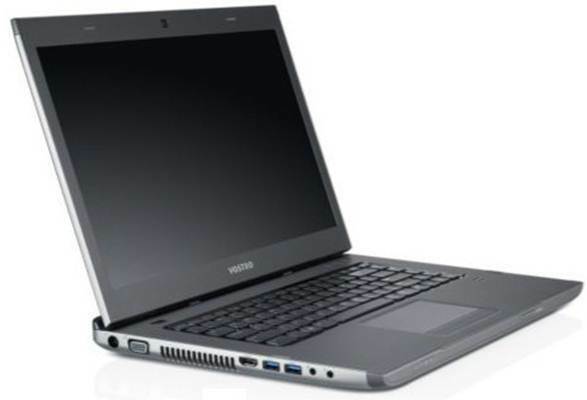 Graphics are handled by the AMD Radeon HD 7670M discrete graphics chip. It’s not the most powerful graphics card on the block, but it will let you enjoy a spot of light gaming. Newer titles will be beyond the scope of the Vostro 3560, but given the Full HD resolution, games come out looking excellent. Our review model was by no means a gaming machine, but thanks to online services like Steam you can rediscover old classics. It’s great to see a full bank of four USB 3.0 ports on board, two on the left edge of the chassis and two on the right. This isn’t a laptop designed specifically for leisure pursuits though. Its Ivy Bridge Core i5 processor ensured it pounded along at a good old lick, and if you want even more raw power you can go for a Core i7- RAM tops out at 6GB which is a bit disappointing given that other laptops can go higher. The benchmark scores might not be blistering, but they show that this laptop should be fine for most average users. Dell tips a wink to business users and others who might be a tad more security conscious than the rest of us by including a fingerprint scanner for those who don’t like password based login. There’s also an Express Card slot which you’re much more likely to see used in business than at home. And Dell’s Support Centre, which you can access by pressing a button sitting proud of the main keyboard, offers quick access to backup, driver updates and other system management services. It might not be the most exciting stuff, but it’s useful for keeping your laptop on song. It’s great to see a full bank of four USB 3.0 ports on board, two on the left edge of the chassis and two on the right. One of these has PowerShare so you can charge external devices even when the laptop itself is switched off. You may not feel particularly inclined to make a great deal of use of this feature though, as battery life isn’t the Dell Vostro 3560’s strongest point. Battery Eater rated it as good for 131 minutes, and you’ll consume some of its power by charging external kit. Other ports run to HDMI, VGA, Ethernet, headphones and microphone, and there’s a media card reader on the front and a webcam above the screen. It is a solid if standard set of specs. The 500GB hard drive is welcome too, though we’d have liked to see one of the user configuration options being to up its size considerably. One thing Dell doesn’t seem to have put a great deal of effort into is the overall design of this laptop. Now, don’t get us wrong here - the chassis is solid and while there is flex in the lid it is not beyond what we’d expect from a 15-inch laptop. The sliver lid and shiny Dell logo are okay to look at. The slightly recessed keyboard with its silver frame doesn’t look awful. And we like that the status lights are on the chassis’ front edge - you can see charge status easily when the lid is down. It’s more that nothing really stands out here. The look is average, inoffensive, and functional. The keyboard is pretty standard too. The isolated keys feel fine under the fingers, the extra large Enter key is easy to find, and the full sized cursor keys are a bonus. The trackpad is big, and when it is disabled via a Fn key a little light above it tells you so. It’s all perfectly adequate, while lacking anything outstanding. If it sounds like we are ending on a slightly dour note, that’s not our intention. The Dell Vostro 3560 blends in, it doesn’t show off. But under the hood there’s a little powerhouse, whose attributes you can pick and choose according to your budget. Battery life lets it down, but otherwise we’re pleased with what we see.